Imagine how Barack Obama would have acted and dealt with the press if they were not carrying the water for his administration? It is hard to believe that Obama had an adversarial role with the media when it was basically the MSM and their lack of vetting or asking any sort of investigative questions that got him elected and reelected. ANN COMPTON: Before I walked out the door on September 10, I was a strong voice for complaining that this particular administration has been more opaque than any I have covered about what the President does in the Oval Office everyday. He is far less accessible on photo-ops with meetings. Even some meetings on the record, meeting in the Roosevelt room with financial leaders from, from Wall Street or on issues with environmental groups, or with issues with environmental groups, with public opinion leaders, I think most presidents have been far more forthcoming than the second Obama term, in terms of what the President is doing every day and we almost never get photo-ops. LAMB: So, off of that experience, how many other presidents were that aware of what they said to you and how many just did not pay attention at all and you had no personal reaction from them? COMPTON: I think most presidents realize – had a personal connection. I don’t think they ever — we were ever in a confrontation-type moment where they felt the need to apologize. I have seen in the last year Barack Obama really angry twice. Both were off-the-record times. One, profanity-laced where he thought the press was making too much of scandals that he did not think were scandals. Another where he took us to task for not understanding the limits he has with foreign policy and the way he’s dealing with the Middle East and Iraq, and Afghanistan. And I don’t find him apologetic. But I find him willing to stand up to the press and look them in the eye, even though it was off the record and just give us hell. LAMB: Does he have a point? COMPTON: From his point of view, he may. But we cover what we are allowed to cover. And when policy decisions and presidents are inaccessible and don’t take questions from the press on a regular basis, I think they get — they reap what they sow. During an interview with Sean Hannity on Fox News’ “Hannity” Friday night, Charles Krauthammer discussed the upcoming midterm elections and stated that the Democrats have been airing nasty and racist campaign ads because they’re desperate. When you have nothing to run on, you call some one a racist. As Krauthammer said, the Democrats are not only the party in charge of government, they are the party of government. The American people have lost faith that the Democrats can handle anything as shown by their incompetence with Obamcare, the VA scandal, Secret Service where they leave the front door of the White House open and had been most recently crystallized by their handling of Ebola. The 2010 election, the shellacking the Democrats took was about ideology. It was about liberal overreach–the stimulus, Obamacare, over-taxation, over-regulation, and we know what the result was. That set off this counterreaction called the Tea Party. And what we’re seeing now six years later is an election that’s not only about ideology. It is a rejection of hyper-liberalism, but there’s now an overlay of sheer incompetence. I think that when you’re accused of being a racist, you don’t even dignify the accusation with a response because then you’re conceding the premise. I have to prove I’m not a racist. I oppose the president because of his policies, I have since the beginning of his administration. If someone wants to imply it’s on account of his race, I will not give them the dignity of a response. That’s not America. Former Alaska Governor Sarah Palin challenges the Washington Post to cover Obama’s proclamation that absolutely no wrongdoing occurred at the IRS, “not even a smidgen,” in the same manner that they did in their tireless and aggressive manner they did President Richard Nixon and the Watergate scandal. Sorry, I am not sure if MSM, integrity and good journalism can be used in the same sentence anymore. 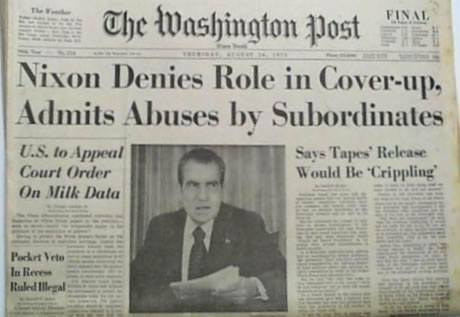 To reclaim your credibility (and the mainstream media’s, at large), I challenge you to engage in the same aggressive investigative journalism you courageously employed 42 years ago covering President Nixon. The public knows of our current president’s incompetence, denials, and cover-ups, but would be well served if we could count on your resources to dig deep for truth in all matters pertaining to Team Obama. 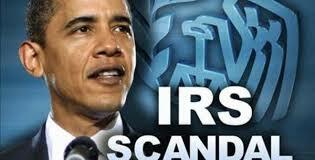 The list of Obama abuses and impeachable offenses is long. I challenge you to lift a finger and help protect democracy, allow justice for all, and ensure domestic tranquility by doing your job reporting current corrupt events fairly. If not, you prove yourselves incompetent and in bed with Obama, not caring one iota about media integrity. Those running the Washington Post’s show now, compared to those during the Nixon era, are too afraid of being uninvited to the permanent political class’ cocktail parties and petty gossip fests, making you all a bunch of wusses. I challenge you to get to work. According to the most recent FOX News poll, an amazing 76% of voters believe that the Internal Revenue Service deliberately and purposely destroyed Lois Lerner’s emails. Only 12% believe in the Tooth Fairy and think it was an accident. Another 12% are unsure and are too bust watching “Here Cones Honey Boo Boo”. The 76% of those who believe the IRS acted deliberately its includes 74% of Independents and an incredible 63% of Democrats. What does this mean? As much as the White House has called IRS-gate a phony scandal and a GOP conspiracy, the American people are not buying it. “We the People” think that it was deliberate and a crime was committed and there was a purposeful destruction of property. Full poll can be read HERE. The consensus is: it’s no accident. More than three-quarters of voters — 76 percent — think the emails missing from the account of Lois Lerner, the ex-IRS official at the center of the scandal over targeting of conservative groups, were deliberately destroyed. That suspicion is shared across party lines, albeit to varying degrees. An overwhelming 90 percent of Republicans think the emails were intentionally destroyed, as do 74 percent of independents and 63 percent of Democrats. Furthermore, Democrats and Barack Obama have tried their best, along with the lap dog liberal media to make this scandal go away. Partisan Democrats have called the investigation, silly, political and a waste of time. The liberal MSM has pretty much refused to cover the story. However, according to the FOX News poll, 74% think that Congress should continue to investigate the IRS in their targeting of conservative and Tea Party non-profit groups. This includes 65% of Independents and 66% of Democrats. This latest wrinkle in the IRS targeting of certain groups, including hundreds with “Tea Party” in their name, has increased voter interest in Congress investigating the matter. Some 74 percent of voters now say lawmakers should investigate the IRS “until someone is held accountable,” up from 67 percent who felt that way in April. That includes 66 percent of Democrats. Finally, a resounding majority do not believe Barack Obama when he says that he learned about such scandals like IRS-gate, the VA scandal, Fast & Furious and the plethora of other scandals when the president says he learned about it from the media. What does this tell us? The American people think Obama is a liar. In a recent CNN poll, Barack Obama is now as unpopular as former president George W. Bush. 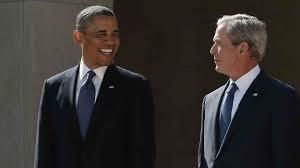 Both Obama and Bush now have a 51% unfavorable rating. Obama’s approval rating has dropped to 47%. However, that most likely is not the low that this president will see before he leaves office, and none too soon. With scandals abound like IRS-gate, Fast & Furious, Benghazi-gate and most recently the VA scandal and the release of 5 Taliban, GITMO detainees for an alleged deserter. Not to mention a continued poor economy, a jobless recovery, a disastrous foreign policy and last but certainly not least, Obamacare. As commented on by Hot Air, a Fox News poll out this week shows continued sharp disapproval of President Obama’s signature domestic “accomplishment,” with a sizable majority expressing the opinion that they wish the 2010 healthcare law had never passed. Who is laughing now Barack? In January 2009, as President George W. Bush was days away from leaving the White House, the unpopular President’s favorable rating stood at 35% in a CNN/ORC International survey. The man who was succeeding him, Barack Obama, was fresh from his historic 2008 presidential election victory and had a 78% favorable rating among Americans. But a new CNN/ORC International poll released Thursday indicates a milestone of sorts: Obama is now as unpopular as Bush. Fifty-one percent have an unfavorable view of Bush; 51% feel the same way about Obama. Obama’s favorable rating is now at 47% – a new low for him, and virtually identical to Bush’s 46% favorable rating, a significant improvement over his 2009 numbers. Obama started out strong, but as many predicted, the public’s love affair with Obama faded as reality set in. Obama dealt with the severe recession plaguing the nation and pushed for controversial proposals such as the federal stimulus and health care reform. By 2010, the President’s favorable rating had dropped by double digits, although his numbers generally remained in the mid-50s throughout the 2012 presidential campaign. EXIT QUESTION: Will Barack Obama’s favorable and unfavorable ratings be worse than GWB’s by the end of his presidency … Magic 8-Ball says, “Signs point to Yes”.